Like hundreds of millions of other Christians, I had been longing desperately for the Lord to come soon to take me to the kingdom of heaven and enjoy the blessings there. One day in November 2006, I finally heard the news of the Lord’s return. Under the guidance of God’s words, the brothers and sisters who spread the gospel patiently communicated with me, so that I recognized at last that the incarnate Almighty God is exactly the returned Lord Jesus and joyfully accepted Almighty God’s work in the last days. Soon after, one day I went home happily after spreading the gospel. As I was coming to the gate, my neighbor rushed to me and, vividly gesturing with his hands, said, “Why do you come back so late? Something big happened! Your son’s friend Xiaoliu came to borrow your pickup, but it wouldn’t start. Then he drove a farm tractor and tried several times in vain to pull the pickup. Xiaohu was also there. Seeing that, he insisted on giving it a try. He put the tractor in fifth gear after sitting on it. As soon as the tractor was started, however, the ring at the end of the steel rope broke unexpectedly. It whizzed back and hit Xiaohu right in the temple, leaving him bleeding all at once…. Now Xiaohu is in the hospital.” Abruptly, my head went blank. I hurried home and prayed, “Oh Almighty God! I don’t understand Your will. Why do I encounter such a thing suddenly? May You enlighten me.” After praying, I recalled the words in the Bible, “And Jesus being full of the Holy Ghost returned from Jordan, and was led by the Spirit into the wilderness, Being forty days tempted of the devil” (Luke 4:1-2). Then I suddenly thought of the truth regarding the battle in the spiritual realm, about which my sister had fellowshiped with me before, and realized that it was Satan’s temptation and disturbance. Satan wished to use that adversity to make me blame God, stray from God, and give up following Almighty God. That was a battle in the spiritual realm. At that time, I thought of God’s words, “… you are able to stand on the side of God when He does battle with Satan, and you do not turn back to Satan, then you will have achieved the love of God, and you will have stood firm in your testimony” (“Only Loving God Is Truly Believing in God” in The Word Appears in the Flesh). God’s words gave me great faith. I thought: Satan, I will never fall into your schemes and complain about God however you interfere. I will stand on God’s side and follow Almighty God. After understanding God’s will, I felt much assured. Nonetheless, Satan did not resign itself to the failure, and still interfered with me through people, events, and things. More than twenty days later, Xiaohu recovered, but he refused to leave the hospital in order to squeeze money out of us. He said, “The pickup is yours, so you should pay the whole cost.” His wife stood up, shouting, “Right! Since the pickup is yours, you should pay the full amount….” Facing their perverse behaviors, I was very angry and got caught up in this matter. In extreme pain and upset, I did not want to communicate with them anymore and walked out of the ward. When I went downstairs, I thought: I am a believer in God. I’m not supposed to get angry like that in the face of problems. I should entrust this matter to God and rely on Him. 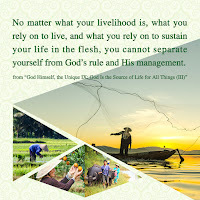 After I arrived home, I opened the book of God’s word and saw the following, “In every step of work that God does within people, externally it appears to be interactions between people, as if born of human arrangements, or from human interference. But behind the scenes, every step of work, and everything that happens, is a wager made by Satan before God, and requires people to stand firm in their testimony to God. Take when Job was tried, for example: Behind the scenes, Satan was making a bet with God, and what happened to Job was the deeds of men, and the interference of men. Behind every step that God does in you is Satan’s wager with God—behind it all is a battle. 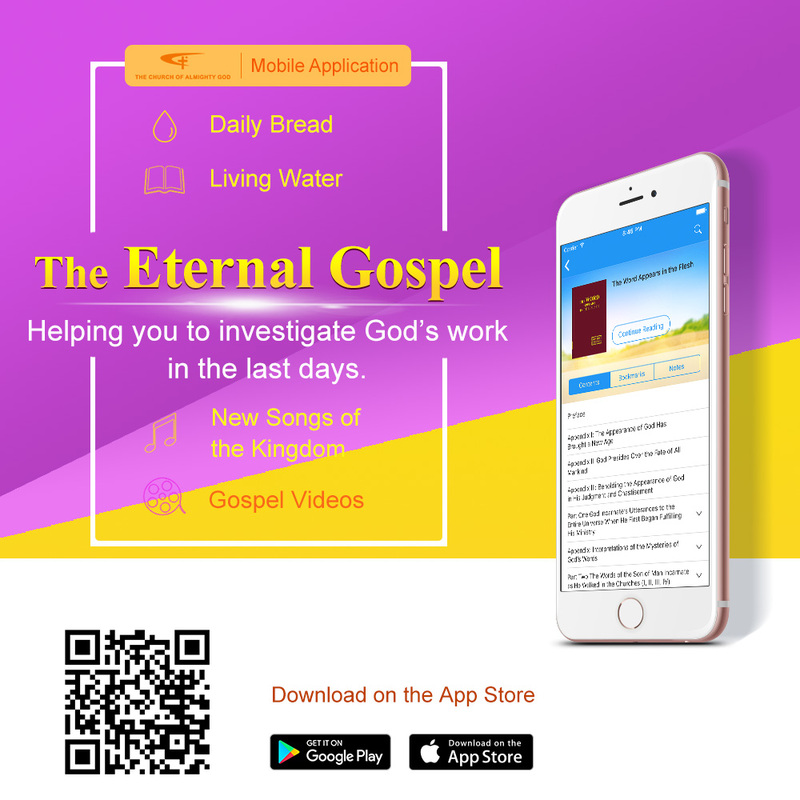 … You should know that everything that happens to you is a great trial and the time when God needs you to bear testimony” (“Only Loving God Is Truly Believing in God” in The Word Appears in the Flesh). Looking at God’s words, I remembered that day when I boasted before Sister Yang, “If I am tempted, I will absolutely stand on God’s side.” However, when Satan interfered with me time after time, I did not stand testimony for God. With my heart constantly occupied by that matter and unable to be at peace before God, I did not seek the mind of God, but got entangled in the problems and lived in darkness, falling prey to Satan’s trickery. Only then did I recognize that Satan was truly evil and treacherous. It used that matter to disturb me, and thought of every possible way to let me deny God’s sovereignty, sway between right and wrong, get annoyed, and live in pain and darkness. I should not be tricked by Satan anymore. I was willing to rely on God and put that matter in God’s hands. Whether Xiaohu would leave the hospital and how much I had to pay at last were subject to God’s orchestration. Whatever the result, I would obey it. To my surprise, I saw God’s wondrous deeds the next day. God aroused a young man to criticize Xiaohu, “I’m really disdainful of people like you who bully good men and even want to squeeze money out of them. If I were in this situation, I would give you not a single penny.” The other patients in the ward also muttered, “Yeah. He got on the tractor himself, but asked others to pay for him. He was so unreasonable.” “Exactly. The person who borrowed the pickup should pay part of the expense. The owner isn’t obliged to pay the full amount.” Mutely, Xiaohu bent his head. Three days later, he left the hospital. That experience allowed me to see Satan’s evil and baseness. It took advantage of people, events, and things to interfere with me, and attempted to make me complain about God and live in suffering and sorrow due the loss of money. Finally, I also saw God’s authority of mobilizing and ruling over all things when I was willing to rely on Him and stand on His side by faith. Just as the word of God says, “I will maneuver all things to serve Me. Even more I am to manifest My great power, for everyone to see that in the entire universe nothing is not in our hand, no man is not serving us, and no matter is not accomplished for our sake” (“The One Hundred and Nineteenth Utterance” in The Word Appears in the Flesh). The more I read God’s words, the more confidence I had in God. I only wished to experience God’s work more and overcome Satan’s temptation by relying on God in future environments.